Don't think twice in getting this. It has a original beginning and i am 60% through it and it feels complete. 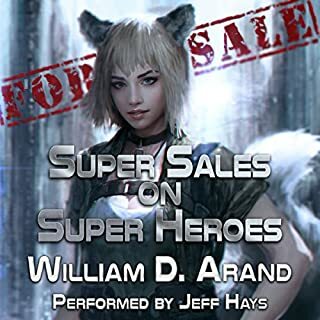 The writer takes the innocences of the human race and ads the confusion of an alien world and how one man outwits them. The narrator has a great way of reading this that makes it almost comical and special at the same time. For me to make effort to write a comment here takes real effort and guts and this book has both. It almost reminds me of the innocense and sense of norm 'Hitchhiker to the galaxy' brought to something that would make us paranoid and confused in real life. 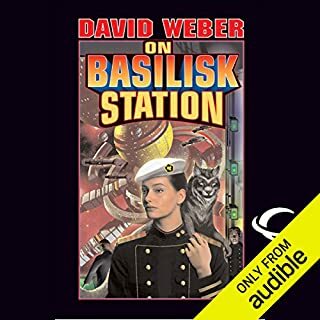 This is a good listen if you like sci-fi and space stories. Very well told story. My favorite aspect of John Ringo's style is his witty dialogue, not only is the story meaningfully progressed but nearly every conversation is intriguing, except for the technical explanations. I appreciated the explanations but I got lost in some of them. 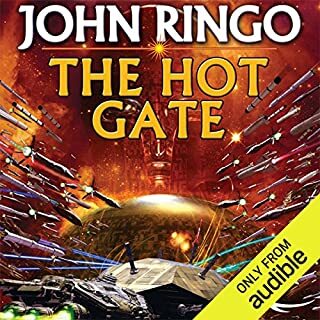 If you like John Scalzi, you will definitely like John Ringo. The narrator is phenomenal as well. You can tell within about ten seconds if a narrator is good and this guy is well above par. All of the action you would ever want! 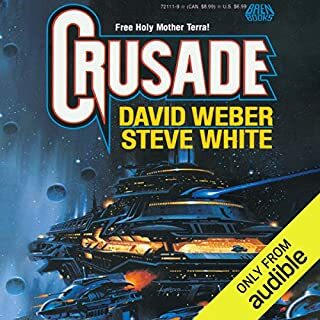 This version of the hostile alien contact genre is more enjoyable for me than most others. The bad aliens are really bad. The allied aliens are as complex as humans. The heroes are heroic. Even those who don't start out as heroic rise to the occasion. 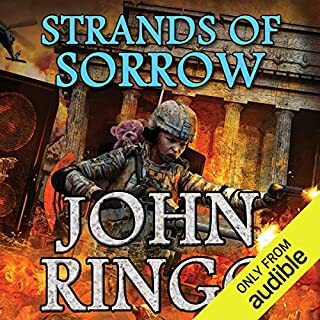 I love this series and wish John Ringo would write some more sequels. 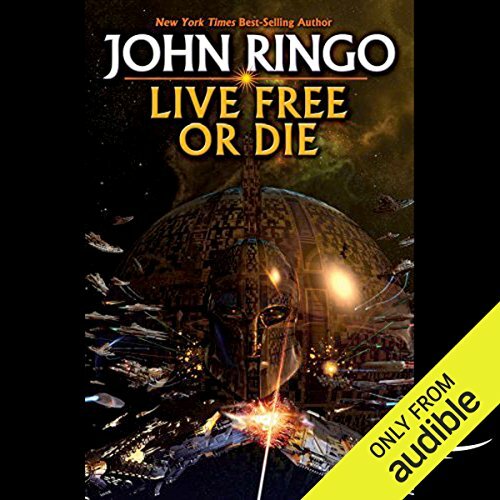 What other book might you compare Live Free or Die to and why? 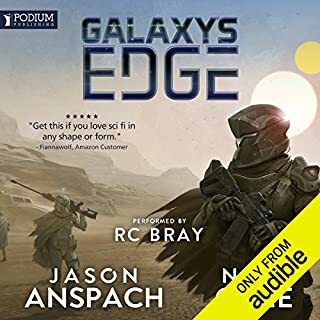 The Posleen war series is comparable in action and drama, but more from the ground-pounder point of view, rather than the space jockey as this series is. 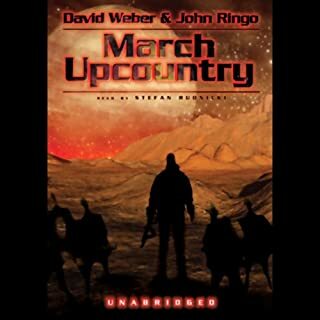 Unlike David Weber, who takes a lot of time to build the political and religious infrastructure to support his action heroes, Ringo just gets on with the mission. 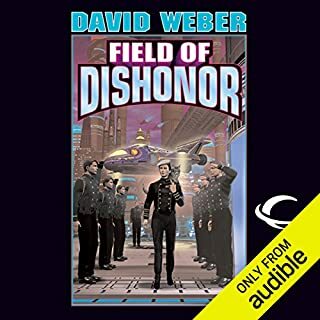 Mark Boyett's narration is first rate. He really brings the action alive and his characterizations work to keep the people straight in your mind's eye. This book and the others in the series kept me from sleeping or doing any useful work. Mr. Ringo, please follow up with another episode or twelve. First off the performer does a really good job and the book is solid as well, especially if you enjoy technical SF. First Ringo book and i will check out more of his work. Now for the part that everyone keeps harping on, yes the main character that has right leaning views and it is brought up in the book. So What, it's part of the process of getting to know a character. The only complaint i have about the books is at the end of it i really don't know anything about the other characters. I mean i know a little bit about others but I don't feel as if i know them. The exception might be the AI's, he did a good job with them. This is such an awesome story! I thought I'd give it a try, since I was not familiar with the author. 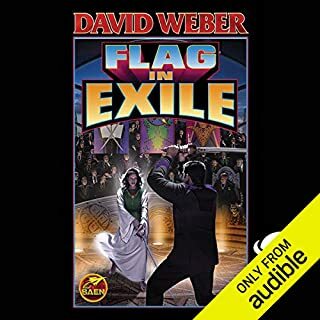 Half way through listening to book 1, I bought books 2 and 3, and I don't want to go to work - I just want to finish listening! I'll certainly be checking out John's other books. He has a great way of blending action, characters, and plot. Also, I love the references to BSG and Star Wars - Frakkin cool. 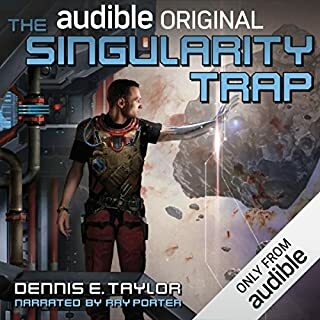 Excellent narration, and one of the most compelling sci fi stories I have ever read. 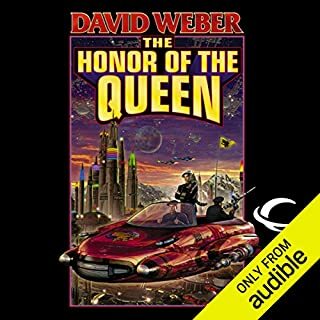 This is Heinlein level sci fi, and my third listen to this series. John's other series are more fun if you want a good laugh, but this series brings to life a world you can imagine being real. One series that goes in my top ten list! 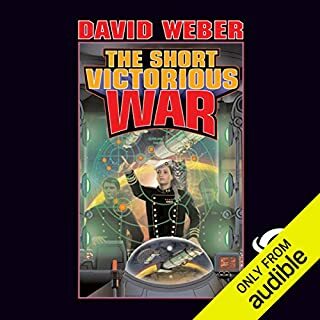 This book reads like it's from the golden age of sci, aliens vs humans with cold war style politics. 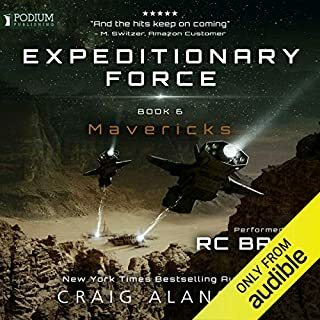 It's very much in the style of Robert Heinlein, a very technical writing style with a lot of explaination of the physics of what's going on. It seems like it should be tedious with so much technical writing, but in Ringo's skilled hands, the story just flows. 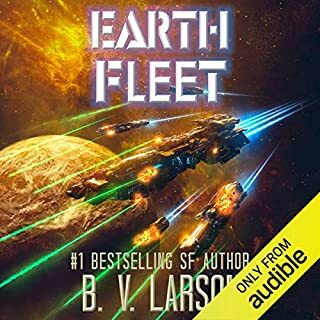 The main charactrer, Tyler Vernon, reminded me of Heinlein's Lazarus Long. The same cranky angry attitude and drive to suceeed completely. The narrator captured the feel of the book perfectly. Other reviewers talk about latent racism/sexism, but it's far tamer in that regard than the sci-fi classics that clearly inspired this book. Awesome story and narration! Great Fun! If you could sum up Live Free or Die in three words, what would they be? A brilliantly original storyline by John Ringo. In his March series he came out with a good writing style and character development. He holds your interest and paints a picture of the characters, the setting and the whole idea of First Contact. Very original interpretation. Not sure, keeping track of narrators is hard, but Mr. Boyett did an awesome job of catching the voices and the characters. You never doubted who was who, or what they were doing. 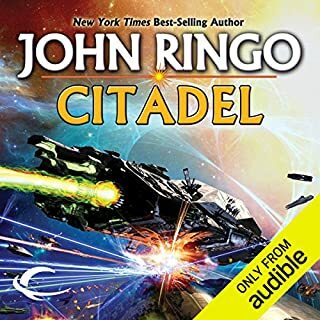 I loved it and listened to all three, I just wish John Ringo would continue them. 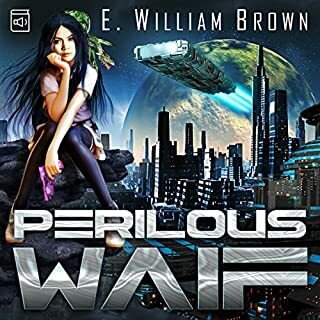 Wonderful characters, and questions raised. Would the governments of Earth give in to an enemy who can drop kinetic weapons on every city? Would they attack their own people to prevent the aliens from getting mad? Very original story and a pleasure to listen to. Listen to all three, you will not regret it. A great set of stories. 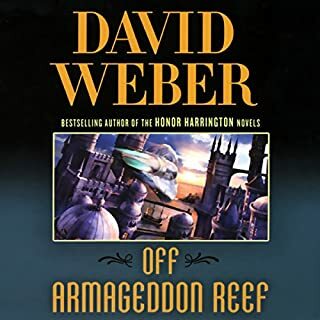 One of the best Science Fiction books ever. Would you listen to Live Free or Die again? Why? 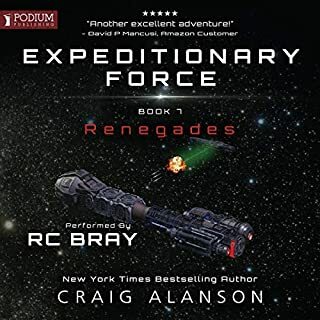 Yes I would listen to the Troy Rising series for the third time! This book is most like the Ender's Game saga. This book is an incredible demonstration of just how much a writer can grow and improve over time.